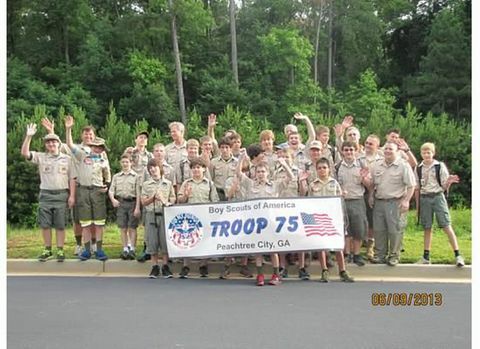 Troop 75 is a growing group of more than 70 energetic, motivated boys ranging in age from 11 to 17. We are the original Boy Scout Troop sponsored by the Peachtree City United Methodist Church beginning in 1980. 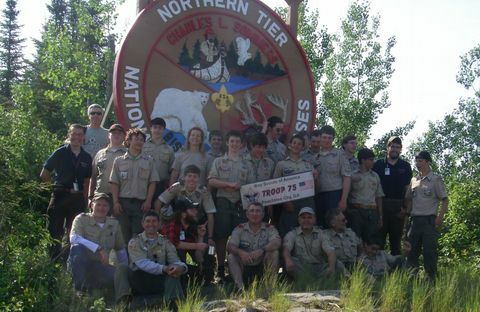 Troop 75 prides itself on being a ”boy-run, boy-led” troop. We develop leadership skills in boys with experienced Scouts acting as mentors to younger Scouts. Experienced and dedicated adult leadership is always on hand to give guidance and assistance, when necessary. Remember, no knives will be allowed at troop meetings unless knives are required for the meeting. In addition, all safety rules must be followed pertaining to knife safety and the blood circle on outings as well. No knives should be out unless used for a specific purpose. We’re mere months away from the summer, aka the Greatest Scouting Season. And while it’s too early to pack your bags and load the trailer, the time is right for one essential step in summer Scouting preparation. It’s time to get your physical. As noted on the Annual Health and Medial Record website, a pre-participation physical is needed for resident campers (at summer or winter camps) and for Scouts and adult leaders attending events that last 72 hours or more. That means it’s required for every participant at Boy Scout summer camp, any of the four BSA high-adventure bases and the 2017 National Jamboree. Which part of the AHMR must I (or my Scout) complete? For all Scouting events: Part A and B. Give the completed forms to your unit leader. 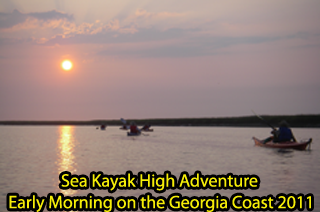 This applies to all activities, day camps, local tours and weekend camping trips less than 72 hours. For camp: Part A, B and C. A pre-participation physical is needed for resident, tour, or trek camps or for a Scouting event of more than 72 hours, such as Wood Badge and NYLT. The exam needs to be completed by a certified and licensed physician, nurse practitioner or physician assistant. If your camp has provided you with any supplemental risk information, or if your plans include attending one of the four national high-adventure bases, share the venue’s risk advisory with your medical provider when you are having your physical exam. For high-adventure trips: Part A, B and C. Plus, each of the four national high-adventure bases (Florida Sea Base, Northern Tier, Philmont and the Summit Bechtel Reserve) has provided a supplemental risk advisory that explains in greater detail some of the risks inherent in that program. Some Scouts arrive at a high-adventure base without discussing that base’s risk factors with their health care provider, meaning they have missing info at check-in that can slow down the process. What is meant by “annual”? Your AHMR is valid through the end of the 12th month after the date it was administered by your medical provider. For example, if you got your physical on April 3, 2017, it’s valid until April 30, 2018. Where can I find the proper, most up-to-date form? Working as patrols, this hands-on course provides adult leaders with practical skills they need to lead Scouts in the outdoors. Upon completion, leaders should feel comfortable teaching Scouts the basic skills required to obtain the First-Class rank. Along with Scoutmaster Specifics, this course is required for direct contact leaders registered in Scouts BSA troops in order to be considered “trained”. Almost half of the Boy Scout Merit Badges require prior counselor approval for certain requirements. You are expected to meet the requirements as they are stated—no more and no less. We often have Merit Badges in "group settings", such as Summer Camp, Troop Meetings & Outings. This is a graet way to learn together and benefit for "guest experts". It is important to remember that the BSA rules say that every Scout must actually and personally fulfill every requirement as written. Don’t forget to get your Scout(s) registered for the upcoming Scouts BSA Spring Merit Badge Day!